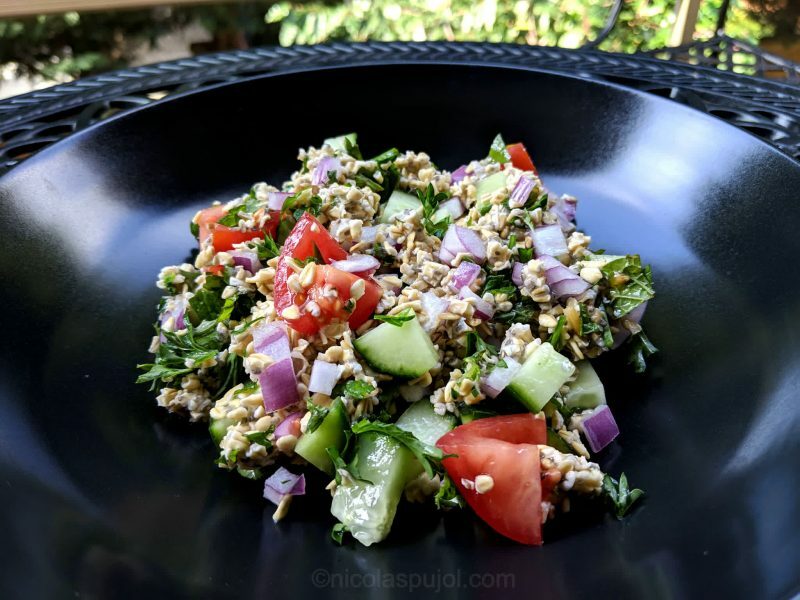 Tabouli (originally Tabbouleh, or Taboulé in French) is one of these Middle Eastern recipes which has gotten world famous. It is so refreshing as a salad or light entree that it is hard to find people who have an aversion to it. 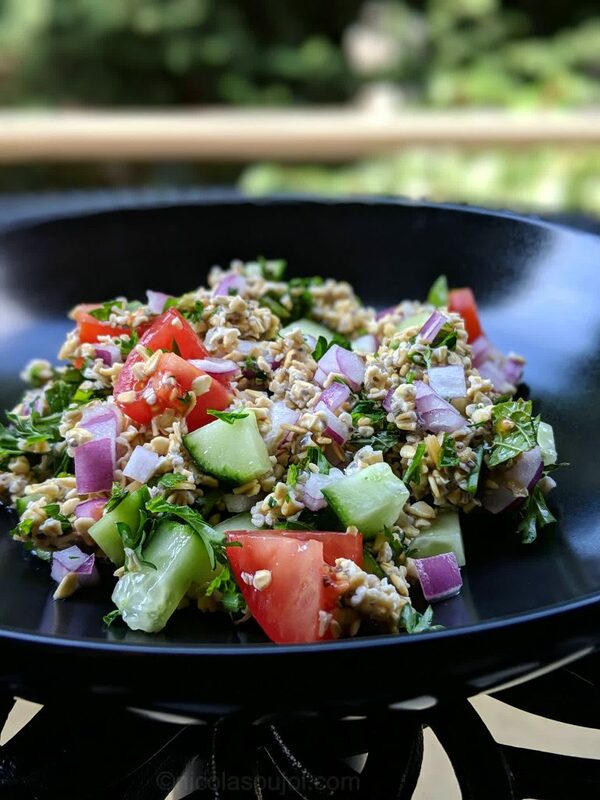 This oil-free tabouli salad using soaked raw oats, mint, cucumber, tomatoes, provides a modern variation of a classic recipe with gluten-free ingredients. I’ve been eating oatmeal for a while, and like most grains, I tend to think that it should be eaten cooked. The few times I tried to eat raw pastas, raw rice or raw lentils, I never went very far, mostly not even swallowing them, since the grains were so hard. So why even try to eat raw oats? The idea never came to mind. It never did, until I started reading the works of Dr Esselstyn on the prevention of heart disease, which, as science continues to progress, also seems to prevent other diseases. In a wonderful video with his wife, daughter and other family members, he just takes raw oats by hand (link to video), puts them in his breakfast bowl and eats them just like this. 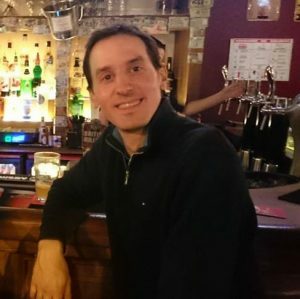 It made me think, why not try? 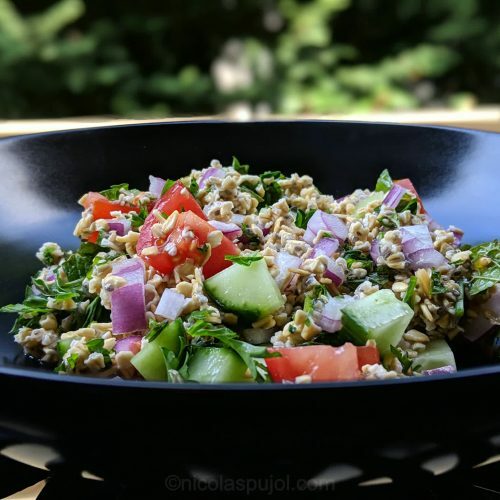 For this oil-free oats tabouli salad, I took steel cut oatmeal, which has the same grainy texture as the tabouli’s original grain, bulgur. 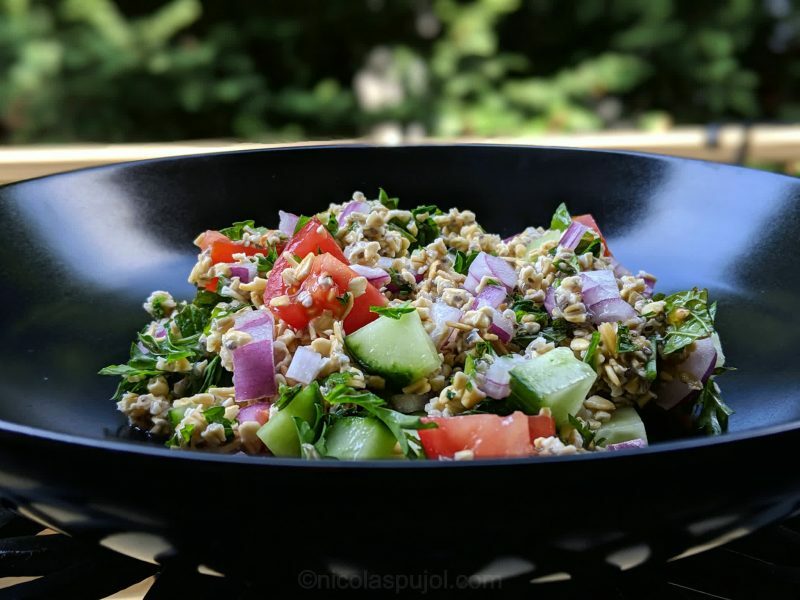 It turns out that in the original recipe, the bulgur is also used uncooked, so the main difference is that oats aren’t part of the gluten family. 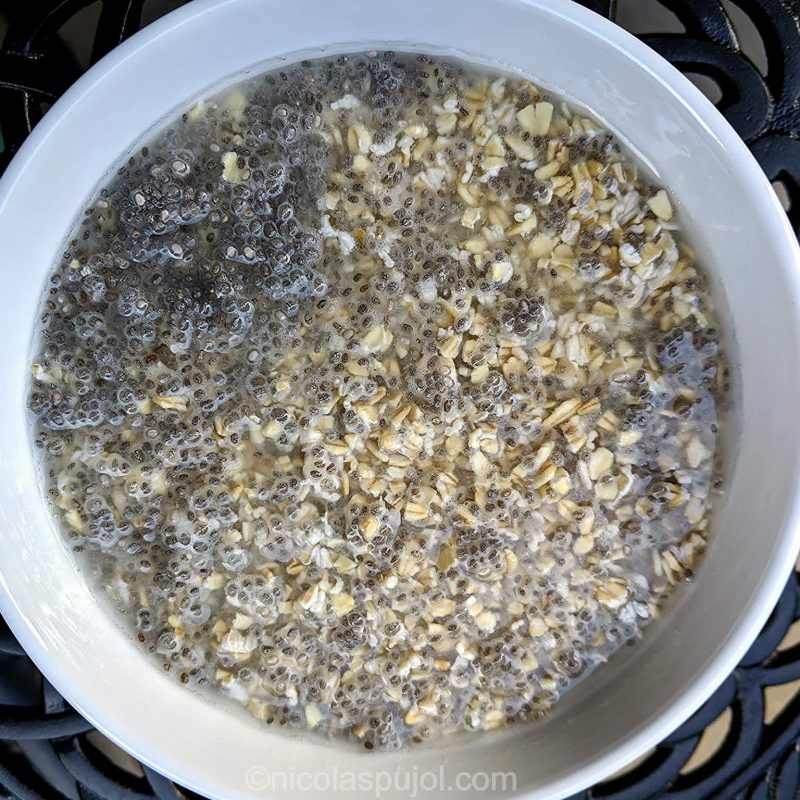 I did soak them as the first step to this dish, and while they rested in water, together with the chia seeds, I prepared the rest of the ingredients. 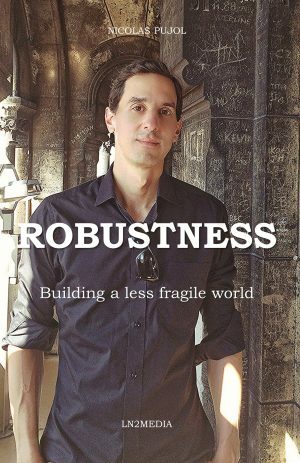 This saved time and made it all efficient. 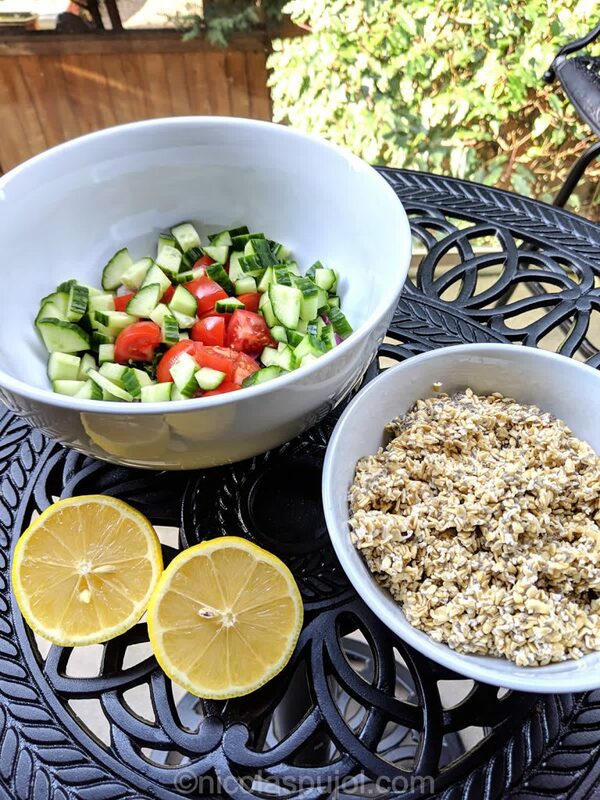 Tabouli makes for such a refreshing salad, containing parsley, mint, lemon juice, cucumber and tomatoes. In a medium bowl, place the oats, chia seeds and add water to soak for about 20 minutes, the time to prepare other ingredients. 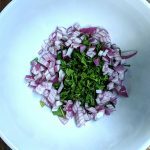 Mince the mint, parsley, and finely chop the onion. 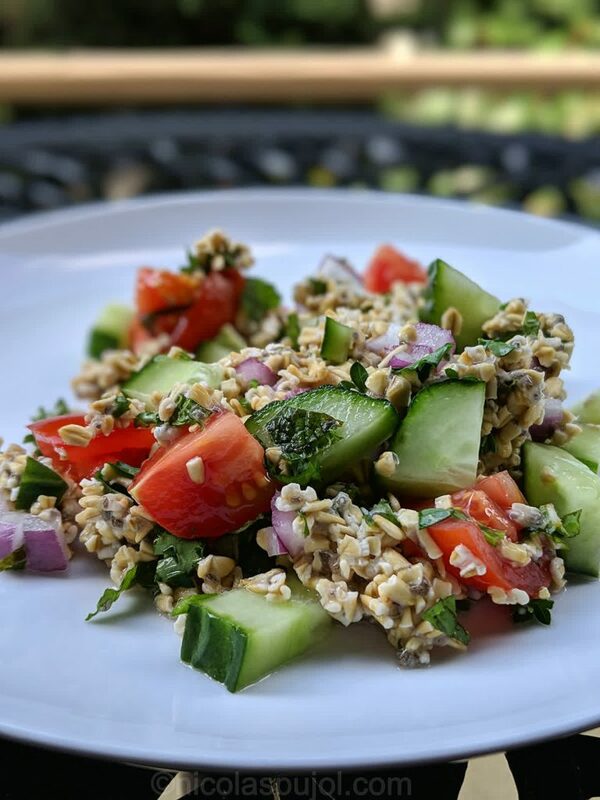 Cut the tomatoes and cucumber in small pieces, then strain the oats and chia seeds to get them ready to mix in. 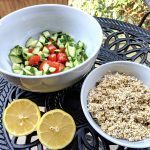 Squeeze the lemon juice, then combine oats, chia seeds to the vegetables with the juice on top. Serve immediately. Optional: hot sauce. This salad is a quite a quick recipe to make. It felt intimidating at first, but went surprisingly fast and easy.